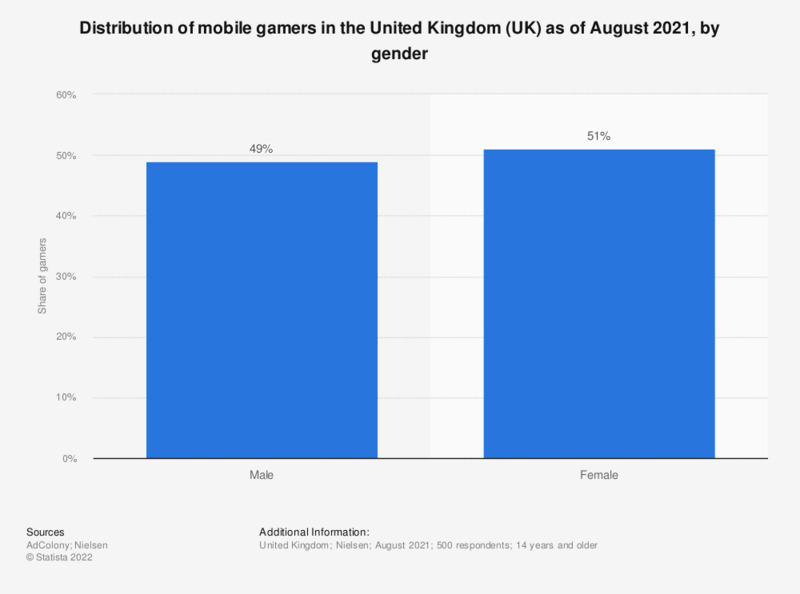 This statistic displays data regarding the gender and age distribution of mobile gamers in the United Kingdom in 2013. There were slightly more male gamers (51 percent) than female gamers (49 percent). * There were 20.0 million gamers total.